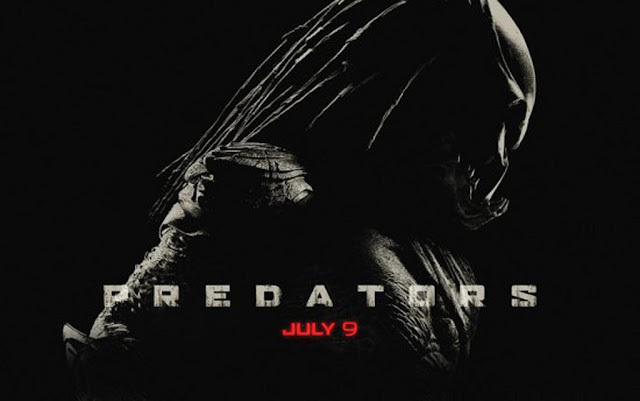 That's right, you better run, because my favourite dreadlocked aliens are back in this modern day sequel to the 1987 Schwarzenegger classic, Predator. Only this time, running won't help because we aren't in Kansas anymore. We're on another freakin planet! Produced by Robert Rodriguez (Sin City, Desperado), I thought this film was surprisingly good. I was a little skeptical at first but giving the lead role of Royce to an Academy award winner in Adrien Brody, who you might know as the skinny guy from The Pianist, actually paid off in spades. Trying to get another Arnie for the main role would have been sequel suicide. Instead, the skinny man put on 25 pounds of muscle and they went for the more lean and mysterious angle with the Royce character. While he didn't have a particularly dominating on-screen presence, you always felt like he was the guy in control of the situation, but left plenty of room for the other actors to explore their characters. One in particular, Alice Braga, (I Am Legend), who played an Israeli black ops sniper, Isabelle, was the surprise packet of this movie almost stealing the screen with her performance. Isabelle had prior knowledge of these predators by way of the report submitted by Dutch (Arnie) back in the 80's after his encounter with the original predator. Although you may not realise it, Royce and Isabelle form a subtle, unlikely partnership. No love story here though. Probably a good thing. There isn't too much to say about the alien creatures in this one that you don't already know. They're just like the original except today's special effects look a lot cooler. If I had to compare this movie to others, I'd say Predators is like Tears of the Sun meets, well... Predator.